Texas is not known for being lenient on people charged with driving while intoxicated (DWI). Even first time offenders are often hit with heavy sentences not to mention ongoing payments under the Driver Responsibility Program. A new ‘second chance’ law for DWI offenders is a welcome measure that will help offenders get their lives back together, though. The measure was signed by Governor Greg Abbot in June, reported KLTV. It will benefit certain DWI drivers by allowing them to seal their record from public view. 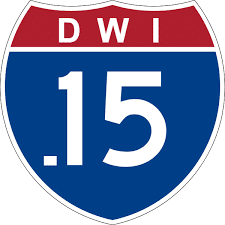 The law is aimed at first-time DWI offenders only. If you qualify, you will be able to keep your drunk driving conviction concealed from potential employers or academic institutions. Drivers who are heavily drunk won’t benefit from the ‘second chance’ law even if they are first-time offenders. It applies to offenders who recorded a blood alcohol content below 0.15. Another important caveat is you will not be able to get your record sealed if you were involved in a wreck or you injured someone due to your drunk driving. Defendants will lose the advantages afforded by the law if they fail to follow through with court orders. Despite these restrictions, this legislation represents a breakthrough because DWI offenders could not previously seal their records. A DWI conviction can be a major stain on your record. Prospective employers may think you have an alcohol or drugs problem and will be reluctant to take you on. Even a pending conviction can impact your job prospects. Allowing first-time DWI offenders to seal their conviction can help them rebuild their lives. The new law gives DWI offenders an additional incentive to comply with the terms of their court orders. Their records could be sealed more quickly if they agree to fit an ignition interlock device on their vehicles. The new law allows a first-time DWI offender to apply for a non-disclosure, two years after their probation is over if they have an ignition interlock fitted for 6 months during that time period. Without an ignition interlock that requires offenders to pass a breath test before their vehicle operates, they have to wait five years after probation to apply for a non-disclosure. The new law won’t wipe a defendant’s record completely clear of their DWI conviction. Police officers will still be able to pull it up and it remains a felony if you are convicted of a third DWI. See our DWI resources here, or talk to an experienced Dallas criminal defense lawyer if you have been charged with drunk driving.